Sometimes you want a full meal, and sometimes you just need something to get you from Point A to Point B. In these circumstances, these places will do the trick. All of these restaurants feature easy, satisfying meals in a cool setting. Remember: cheap and easy doesn’t have to be mediocre. Average price between $10-20 a person. 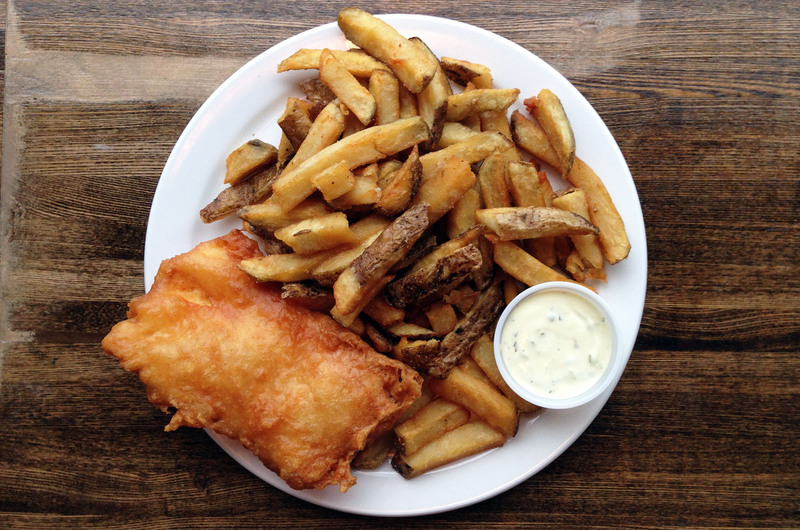 Sea Witch: These fish and chips are on another playing field thanks to their careful fry in rich beef tallow. It’s an experience you need to try at least once. When the Pig Came Home: A Junction deli that packs a big punch: think porchetta with rapini and hearty peameal sandwiches. Simit & Chai Co.: One of my favourite spots on King Street West for Turkish bagels and Turkish coffee. Delica Kitchen: Elegant variations of soups and sandwiches with locations in midtown and Leslieville created by the amazing Devin Connell. Phở Hưng: This Chinatown spot is my favourite place for Vietnamese pho. WVRST: Come for the hot dogs and duck fat fries and beer, but make sure you have good conversation to go around because that’s literally all they serve. Sunrise House: This is one of those Korean restaurants that is never empty. Their portions are so generous and satisfying that you’re guaranteed to leave happy. Three words: Gam Ja Tang. O&B Canteen: An excellent place to go for a 5 minute, 10 minute or 1 hour meal, located right beside the TIFF Bell Lightbox. They know their Theatre Row crowd is on a time crunch, and they plan accordingly. Manpuku: This is a secret gem known well to OCAD students and one of the best places to get a bowl of udon noodles in the city. Hard to find, but worth the trip. Dr. Laffa: I heard it’s the best kosher food around. Han Ba Tang: A fun Korean-fusion restaurant up in Koreatown North.